Robert Zemeckis continues with determination on the path of motion capture 3d animation, and ‘A Christmas Carol’ is his most successful result so far. 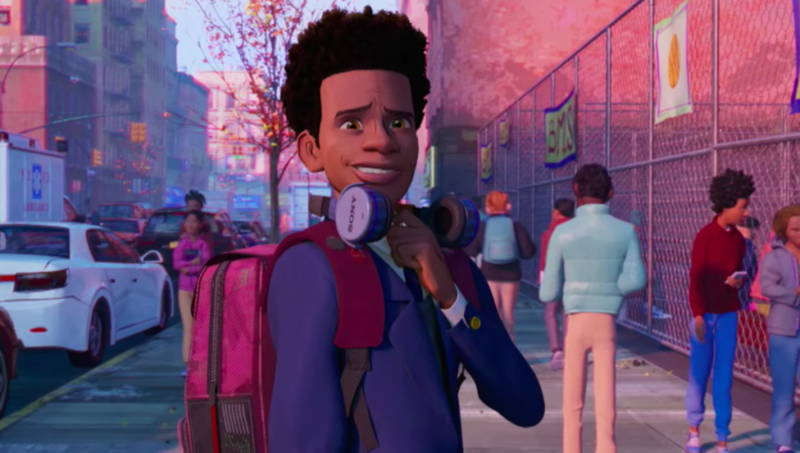 However, I think this has more to do with the beautiful, consistent design of the film and the familiarity of Dickens’s timeless ghost story than with any marked advances in the animation of virtual humans that could pass for real. 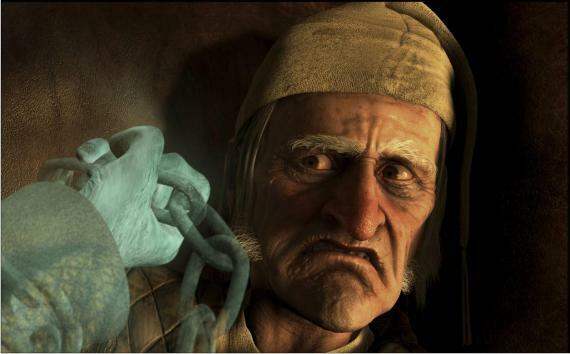 The fact that the Scrooge character works quite well is due to its cartoonish look, with enormous protruding chin and nose. 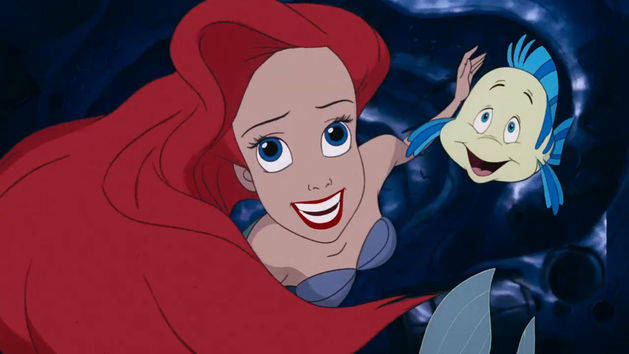 Other characters are firmly stuck in what the industry sometimes refers to as ‘uncanny valley’, that area where virtual humans are not unrealistic enough to make our imagination fill in the blanks, but are afflicted with subtle unrealities that make them look like really weird, strangely repulsive real people. Mouths and eyes in particular remain problematic. The digital versions of Colin Firth (Cousin Fred) and Gary Oldman (Bob Cratchit) that we encounter are rather startling. As an adaptation of Dickens’s story for the screen, none has yet been more faithful to the original. Not only is Zemeckis textually true, but he captures the eerie atmosphere of Dickens to perfection. This is therefore a very dark, at times scary Christmas Carol, definitely not suitable for young children, I would say. On the other hand the director has allowed a few flights of fancy. The appearance of the Ghost of Christmas Past as a living candle I found quite brilliant, and the dance floor antics of Mr. and Mrs. Fezziwig are bound to draw a few laughs. Other additions are less succesfull and some, such as the overdone chase of Scrooge by the Phantom Hearse, are at odds with the atmosphere of the story and apparently only there to spice up the 3d version of the film. Jim Carrey is less of a problem than I had feared, and though he voiced the ghosts as well, I didn’t even recognize him there. The continuous, joyless fake laughter of the Ghost of Christmas Present I did find pretty annoying, though. Unfortunately, due to the fast pacing of the story (and time taken up by unnecessary additions, such as that chase scene I mentioned) I did feel that Scrooge’s character change comes about rather abruptly, without allowing enough time for a believable thawing of his cold heart. And at the end a general sense of unpleasantness remained that I find hard to pinpoint and may have something to do with that ‘uncanny valley’, combined with the abundance of dark and morbid imagery. Nonetheless, an intruguing excercise in gothic spookiness; and as a feast for the eyes this is quite recommendable; you won’t ever see a more Christmassy London than you get here here. The print is presented in 1080p/MPEG-4 with a 2.35:1 aspect ratio. ‘A Christmas Carol’ is one of the most impressive looking animations in high definition. Colors are bold looking and have a nice pop to them. Black levels are deep for this darker looking film, especially as you can see with Scrooge’s outfits. I felt like I was watching an art piece on film the entire time. Facial animations are some of the best that I have ever seen, especially the up close scenes with Scrooge. 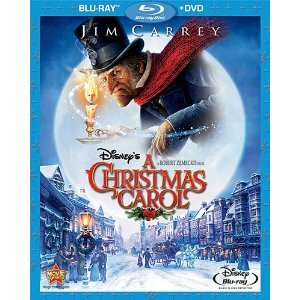 Even more so is that you can tell Jim Carrey is Scrooge, that is how well this film is done. The audio mix is presented in DTS HD 5.1 Master Audio lossless track. This is more of a dialogue driven film, so it does not take advantage of the soundfield like I had expected. During the moments that the soundfield is used, it’s for the soundtrack and the minor effects. It is a disappointment because a film like this could have taken advantage of the soundfield. Dialogue is clean through the center channel with no apparent hiccups. 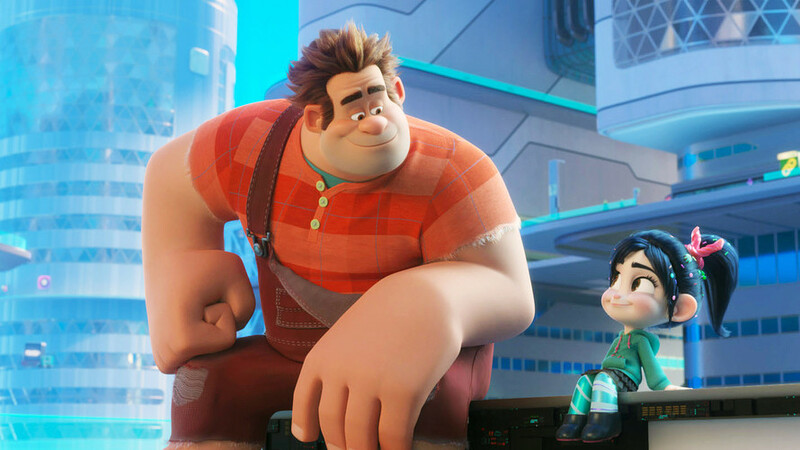 I really love this story and am especially a fan of Robert Zemeckis and his work. I find it hard to believe that some people were turned off by A Christmas Carol, but everyone is entitled to their opinion. I just can’t believe it took a whole year for this to come to home video just like the last few Vince Vaughn holiday films. If you are a fan of the film, you will not be disappointed at all.